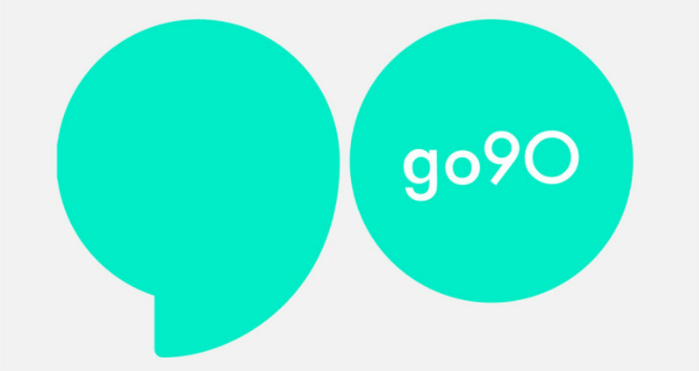 go90 wants to be cool, but can it? So why has Verizon chosen now to roll out a new wireless service? The promise of the go90 service is that wireless users will be able watch Primetime shows, live music & sports, plus best of the web. At anytime. From anywhere. Users will be able to follow their favorites. Like that show they can’t stop quoting. Or that actor they want to stalk, but legally shouldn’t. Finally, users will be able to cut & share. They can send must-share moments with the tap of a finger. Because relationships need to be nurtured. To give the launch of this service more of a kick, Verizon has a special plan that they are offering to Verizon wireless users (anyone can use the go90 app): for 3 months users will get to view exclusives on go90 and they’ll also get an extra 2G of data on their monthly wireless plan. Clearly Verizon understand that in order for the go90 app and service to be a success, they need to be able to appeal to more than just their base of subscribers. However, they want to sweeten the deal for their subscribers so that they will all sign up and the service will be a success. Effectively, go90 is a form of a video streaming service. What this means is that in order for it to be a success, it is going to need to have content, a lot of content. Right now it appears as though the service will launch initially with a truncated content offering, including TV shows and music clips from networks like Comedy Central, MTV, and Food Network; sports clips from ESPN and NFL Network; and a collection of web shows from sites like Vice and Elite Daily.. Verizon believes that they can provide a lineup that is really around all live-type news clips and sports and events. They believe that this is different from what users can get from other streaming services. There are a lot of product manager resumes riding on them being right! If you take a look at the go90 website (www.go90app.com), one of the things that will strike you right off the bat is that all of the users that Verizon is showing you are young people. It quickly becomes clear that this is not your father’s go90 service – Verizon is targeting it towards the hip and cool youth market. It appears as though Verizon is trying to find ways to appear to the younger audience which may not generally pay that much attention to Verizon products because they are ‘boring”. They are entering a crowded market: there is a threat of Snapchat and its slew of entertainment and news partners which is growing larger by the day. The Verizon product managers have structured the Go90 service as a free and ad-supported like the other social networks. Right now it’s only available in the US for iOS and Android. Just to make things a bit more challenging for Verizon, Comcast has launched its Watchable mobile app that’s designed to do much of the same stuff. The Verizon product managers have a real challenge on their hands with this new service. Verizon has said the app is targeted at teenagers and people age 18 to 34, but the current content lineup seems primarily aimed only at teens. Verizon’s main competitor, AT&T is in the process of trying to find ways to marry its Direct-TV video content with its wireless service also. In the end, it’s all going to be about content. Verizon’s product managers are going to have to find enough content that is not currently on either HBO or Netflix that will attract the young audience that they so desperately want. Let’s hope that they can form the partnerships with the content creators that they are going to need. As product managers we all view our product as being a trendy and attractive product to the right set of people – that’s part of our product manager job description. However, would any of us go so far as to call our product “cool”? Over at Verizon, the product managers have rolled out a new wireless service product that they are calling go90. They want to portray this product as being “cool”. Can they do it? The go90 product is a wireless video streaming service. Users can use it to watch videos, chat with friends, and even clip parts of videos and send them to their friends. Verizon is releasing this product to everyone, but is making it work even better for their Verizon wireless customers. Verizon is targeting this product at young people. If the product is going to be a success, then they are going to have to make sure that it has the types of content that young people want to watch. The Verizon product managers have taken a risky path. Verizon is not known as a “cool” company and so for them to create and market a product that will have to be “cool” in order to be successful is quite a challenge. Ultimately, the success of this product is going to depend on the amount and types of content that Verizon will be able to secure for the service. Just launching the new service is not going to be enough to ensure its success, that’s when the real work is going to start! Question For You: How could Verizon change the go90 service to better appeal to young customers? Over at the soft drink maker Pepsi, the product managers are in the middle of making a very big change. They are tinkering with the product development definition for their popular diet Pepsi drink. What makes this change so very interesting is that the reason that they are doing it is to respond to incorrect beliefs by their customers. Do you think that this is a good idea?